Forget what happened this weekend at the West Virginia Class AA State Baseball tournament. Whether the Indians won a fifth-straight state championship is moot for purposes of this blog (which they did). Forget that Chapin Murphy earned all-tournament honors, stepped up big offensively and defensively to help the Indians win their fifth-straight title. Seriously, set that aside for just a few moments and read on. There’s a reason for the request. 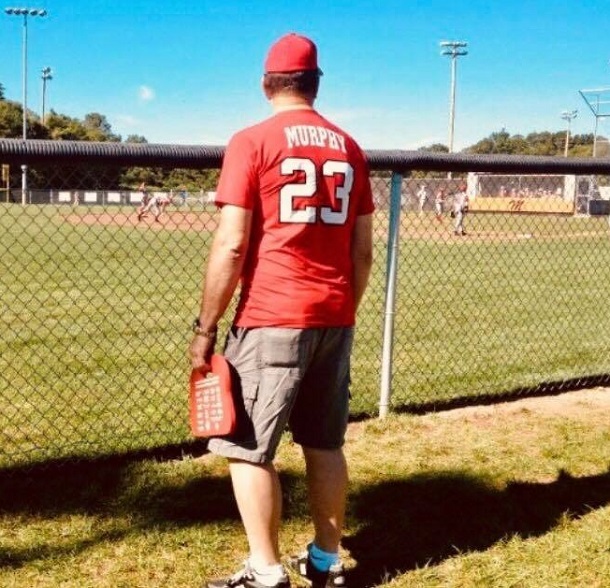 Long before the first pitch was thrown in Charleston, the senior standout Murphy had already earned status of champion and it had absolutely nothing to do with his showing as a baseball player. Instead, it had everything to do with growing up under some recent hard circumstances and facing it like a man. Most already know Chapin Murphy is an all-state football player. Most probably know Murphy’s senior season at BHS is at a minimum all-state worthy. 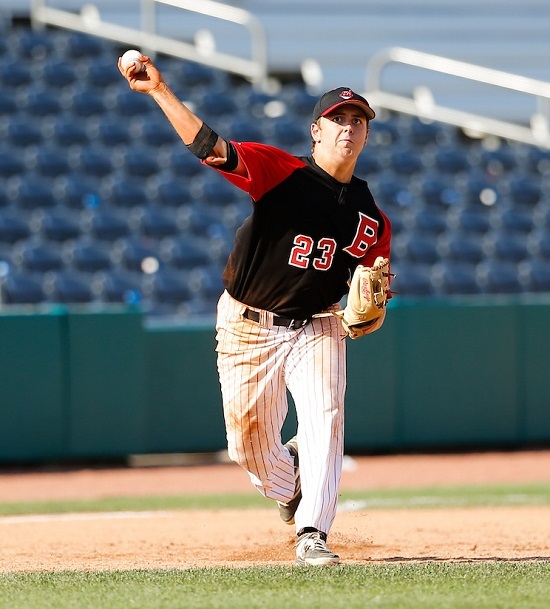 What most don’t know is that for a good portion of his final year at Bridgeport High School is that Murphy had more than books, athletics and a social life to deal with. The 18-year-old just graduated senior had something more important than receiving his diploma. He had something more important to deal with than chasing a state title. And definitely something more important than having a fun evening out. For months now, Murphy has been living with his grandparents. In large part, he was there to take care of his ailing grandfather; a man he’s looked up to his entire life in John Book. Book’s daughter, and Chapin’s mother, Kelly Rolstad said her father had battled Parkinson’s and Alzheimer’s for nearly a decade. Last week, the deadly combination of disease got the upper hand. A week ago Wednesday, on May 23, John Book – a very well-known youth coach and trusted mechanic – passed away. About the only regret he may have had in life was not being able to see Chapin play baseball his senior year. For most of the 10 years the diseases took a grip on Book, he didn’t miss a game that he could attend if his blood was on a field. 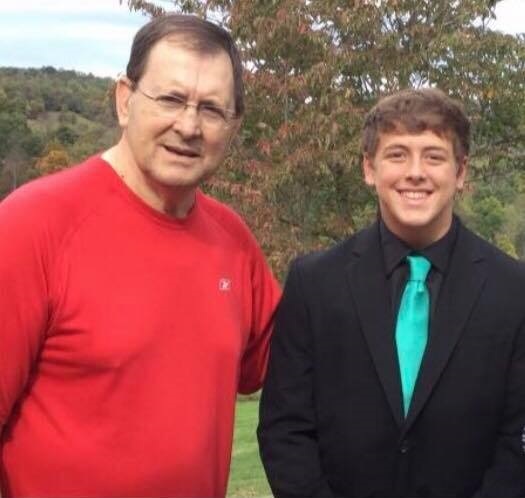 In fact, his past year he attended all of Chapin Murphy’s football games with the exception of the final contest more than three hours away in Bluefield. While Book loved to watch all of his grandsons, particularly in sports, and his granddaughter Dareth, he also loved coaching sports. Rolstad said her father coached in Bridgeport Little League for 12 years, from 1998 until 2010. Chapin Murphy said his earliest memories of his grandfather come from the diamond. He would watch his older brothers play and his grandfather coach. “I remember going down to the baseball field when I was four or maybe five years old. I would sit in the dugout or in the outfield. My first year in Little League he coached me and it was awesome,” said Murphy. “He didn’t treat me any different than anyone else and he taught me everything I know about baseball and it’s stuck. It’s safe to say he didn’t. Instead, he was by his grandfather’s side nearly every day until the end. “It’s been hard because I was close to him and it was hard watching him decline. Here was a man that loved life and a good guy, which made it even harder,” said Murphy. “People may think a teenager taking care of his grandfather is a big deal, but being there for the last several months wasn’t a big deal because he was always there for me and such a huge influence. I needed to be there because I watched when thing started getting bad a few years ago. Instead of dreading the situation, Chapin Murphy was thriving from it and doing all he could. And if needed to step up more, his mom said that’s what he did. It also made a mother who, like most, teeters on the edge of her seat at sporting events take things more in stride heading into the state tournament this weekend. In the end, no scoreboard could keep a total of what Chapin Murphy faced, dealt with, overcame and grew from this year. The only thing you need to know is that because of how he handled his situation, he won long before he ever headed to Charleston. Editor's Note: Top photo, by Ben Queen Photography, shows Chapin Murphy in action on the diamond, while the second picture shows him with his grandfather, John Book, prior to a BHS event. 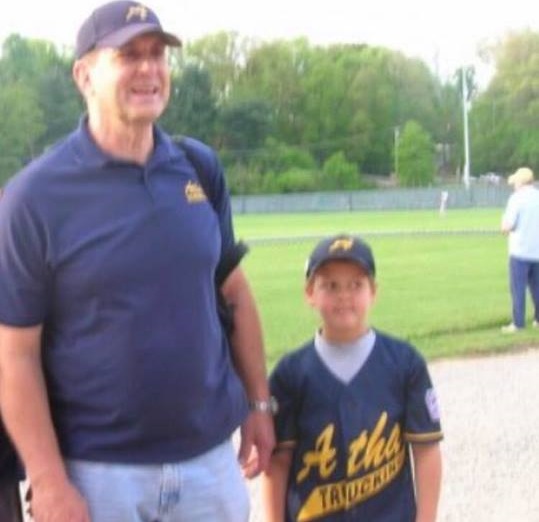 In the third photo, "Coach" John Book of Atha Trucking is shown with a young Chapin Murphy, while the grandfather takes in action last year sporting the number of his favorite Indian. Bottom three photos courtesy of Kelly Rolstad.